Since 2014 the Wills & Future Planning team at Scullion LAW have helped nearly 600 people across Lanarkshire and Glasgow make a FREE Will. This is part of our continued commitment to the community in recognition of the great work Marie Curie do for those living with a terminal illness. We are delighted to launch the scheme for the 5th year running from now until the end of May 2019 to give people across Lanarkshire and Glasgow the opportunity to forward plan and create a FREE Will and discounted Power of Attorney. Dorothy Scullion from Scullion LAW said ‘Marie Curie is a charity close to our hearts. Their kind nurses cared for our dear aunt Margaret in Motherwell during her final days… so we shall be forever grateful’. How does the FREE WILL writing scheme work? Scullion LAW can make a FREE Will for everyone aged over 55 and if couples make a mirror will only one person needs to be over 55 to qualify. Simply contact Scullion LAW to make an appointment in Hamilton 01698 283 265 or Glasgow Saltmarket and West End 0141 374 2121. We are delighted to offer home visits upon request. Nicholas Scullion, Managing Partner of Scullion LAW said “Since 2014, we have helped to generate a substantial amount of future income for Marie Curie. As well as specific cash gifts, some clients left a share of their estate in their Will. As little as £20 helps to pay for an hour of nursing care. There is of course no obligation for clients to leave anything. We want to thank the kind individuals within the community who have helped us support Marie Curie so far. This is the fifth successful year running the FREE Will scheme and by continuing to work together we can make a positive difference to the lives of people living with a terminal illness in our community. Future planning by making a Will and Power of Attorney is something that we encourage all of our clients to do”. Associate Director Gordon Lennox, an experienced Wills & Future Planning Lawyer at Scullion LAW said “We often meet people who are unaware that unless you make a Will, the law dictates what happens to your property, money and possessions when you die and very often this isn’t in keeping with what people want. I would therefore encourage everyone in the community to take make a Will to ensure your personal wishes for the future are clear. We can also advise you about the ways you can protect vulnerable or disabled beneficiaries, ensuring that appropriate arrangements are in place for your children or whether your estate is likely to be subject to inheritance tax. If you already have a Will in place we recommend you update it every 3-5 years or whenever your personal circumstances change through divorce, separation, death, birth of grandchildren, or when you buy or sell property. An up to date Will makes it easier for your friends and family in the future. Scullion LAW are offering you a FREE Will in aid of Marie Curie and we hope you will sign up”. 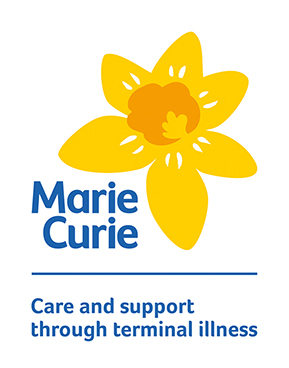 You can read about the great work Marie Curie do in our community to care and support people living with a terminal illness here. Click here to fill out our Marie Curie Free Wills contact form.